EZ Does It Electrical can handle new or existing construction for residential or commercial buildings. You will always get a free estimate and there are discounts available for seniors and new homeowners. 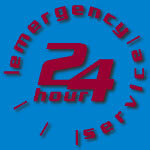 Emergency services are available with around the clock radio dispatch and same day installations. When looking at any electrical companies, you need to be able to depend on their work quality over and over again and you will definitely get that from Easy Does It Electrical. They even offer service contracts to make sure your electrical needs are met sometimes before you even realize you have them. We offer Complete wiring services for your home or office building. Pools, saunas, and spas are a breeze to manage when you have the right Licensed professional electrician. When it comes to lighting, it really helps to have your own electrical contractor. Fans and lighting for ceilings, bathrooms or attics can be replaced or installed easily and candeliers are a specialty since Easy Does It can handle the highest of ceilings. If you’re looking to upgrade, repair or have recessed or trac lighting installed, you can’t go wrong with your own electrician to do the job right. Landscape and incandescent lighting will make the exterior of your home come alive, so inside or out, an Easy Does It electrician will light up your home. 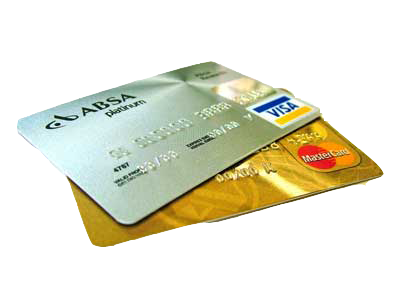 EZ Does It has been in business and serving New York City for more than fifteen years. We are licensed, fully insured, and offer one hundred percent satisfaction. Wiring can be difficult in new or existing homes and Easy Does it Electrical can handle it for boilers, or even basic telephone, cable, and computer systems. Outlets and switches can be moved or installed new, even 220 lines for dryers and stoves. This is especially helpful for rewiring, repairs, or even remodelling. If your home has any electrical violations that need to be fixed and removed, Easy Does It can handle those for you through proper channels to make sure your home is safe and legal. But electricity in your home isn’t possible with circuit breakers and fuses. Your electrical contractor will make sure yours are all in working order with any job, absolutely free. Easy Does It Electrical can handle all your home or commercial electrical needs, professionally, affordable, and on your schedule. There are ways to make your life easier when it comes to managing a home improvement project. You can work with one contractor for each different specialty, or you can work with a full service remodeling contractor like Easy does it Electrical. Those that wish to get the job done correctly, on time, and within budget, make a conscious decision to pick the latter. When it comes to making a smart move, one cannot go wrong by selecting a contractor that offers a 100% satisfaction guarantee, one that is fully licensed and insured, provides quick and competitive free estimates, and offers senior citizen, contractor, and new homeowner discounts. As alluded to earlier, for a home improvement project, one could have a separate contractor for each specific aspect of the project (electrical, rough and finish carpentry, cement work, etc.) or they could elect to have the job completed by a full service remodeling contractor that can provide the following wide range of services all under one roof: Residential and commercial projects Concrete work – sidewalks & driveways Brick work including brick fences, steps, stoops, and patios Framing and sheetrock installation Porches & fences Kitchen and bathroom remodeling Interior & exterior remodeling including installing additions. With custom home improvement projects being a specialty, one can easily see that working with a company like Easy does it Electrical can be a real time saver. Trying to manage a vast number of separate contractors for your home improvement project just doesn’t make much sense when you have the choice to put all of these services under one roof. Whether you need an additional electrical outlet installed in a room or a complete home makeover, it just makes sense to call the team that can handle it all. Professional, experienced, and courteous contractor services are available for your special home remodeling project, so don’t hesitate. You’ve never been closer to getting the job done right than right now. Call Easy does it Electrical today to get the ball rolling on your home improvement project; you’ll be glad you did! So whether you need a full rewiring of your home or business, need small or large home improvements, or just about anything else, check around for the lowest prices and highest quality, then give Easy Does It Electrical a call.